After playing Australia, New York’s Off-Broadway and to great acclaim at the Edinburgh Fringe, Lennon: Through A Glass Onion comes to Liverpool for a two week run at the Epstein Theatre - and as rightfully site-specific locations go, it doesn’t get much better than this. 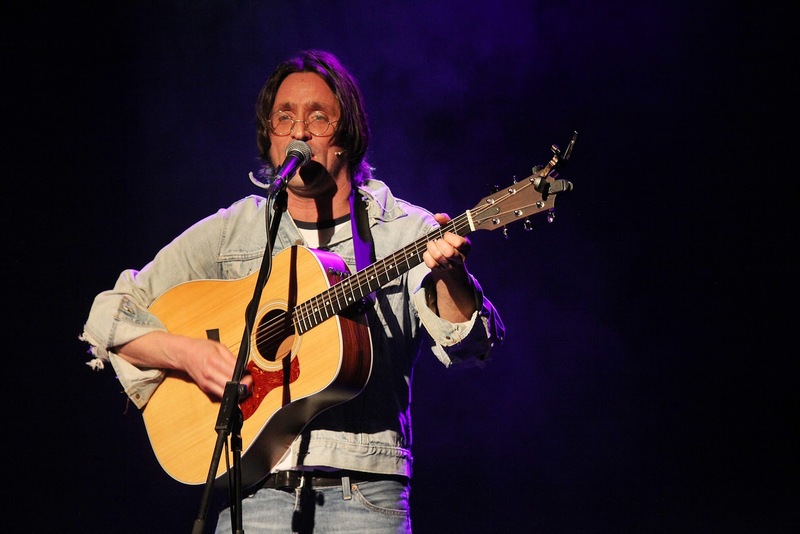 In a cross between a play and a juke-box musical, the show itself is simply John Lennon on stage, with Daniel Taylor portraying the man, telling a narrative of key moments in his life, looking back at times gone by. The stories range from childhood through The Beatles to adulthood and fatherhood and of course that day in December 1980 outside the Dakota building. However, where John Waters and his creative team have done something quite remarkable is to use the night of Lennon’s shooting as a vehicle, taking the audience through a journey of tales and music in an almost twilight-esque space. Nothing is real, with both performers and audience becoming part of a dream like experience. Daniel Taylor not only visually embodies the man, in an iconic denim jacket and t shirt, but at times shows a vulnerability and a side to Lennon that is not so familiar. The music adds to the show, making it so much more than just a “night with John Lennon”. The set list is vast with Taylor on acoustic guitar and Stewart D’Arrietta on piano and includes classics that both Lennon and Beatles fans are sure to appreciate. When an injection of rock n roll is required, D’Arrietta’s electrifyingly powerful piano work lifts the numbers without the need for electric guitar or bass. Lennon: Through A Glass Onion ends in a way that is haunting, respectful and above all, effective. This is a superb production that pays tribute to the life and music of a remarkable man. If you go are fortunate enough to be in or near Merseyside, go see it. It makes for a memorable night.